We will appraise your car and pay you right there. The whole process usually takes less than 20 minutes! We will take care of the paperwork, and handle liens on your vehicle. For years, RCO Cash For Cars has been buying vehicles in the New York metro area for years treating people with the utmost integrity and respect. We make fair offers based on current market conditions and will not insult you. W offer you the best possible cash price for your car, truck or van based on condition and current market values. Our company does not give inflated quotes over the phone then low-ball you when you arrive. RCO Cash For Cars services all 50 states! 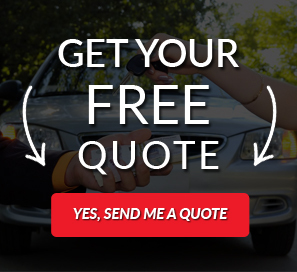 We offer you a hassle free way to sell your car, truck or SUV. RCO Cash For Cars Is a direct buyer purchasing all types of new, used, leased, financed, junk and crashed cars paying up to $100K per vehicle in all 50 states. Our network of buyers makes it possible to expedite transactions getting you the money quickly without waiting days or weeks for payment. We have been buying all types of vehicles getting people top dollar for their cars and trucks since 2005. Save time and hassle trying to locate a private buyer for your car, RCO will pay you cash on the spot today! RCO Cash For Cars can get you the cash you need in less than 20 minutes! Sell Your Vehicle Quickly at a High Cash Price! RCO Cash for Cars pays you cash fast! Same day payment with no waiting!